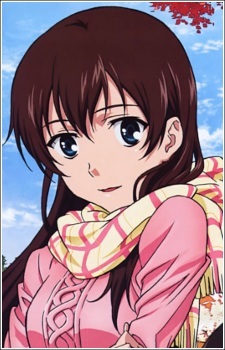 Hiromi is a girl Shinichirou's age and goes to the same high school as him. After her mother died, she came to live with Shinichirou's family and has already been living with them for a year once the story begins. She had been in the same class as Shinichirou since elementary school, though despite being cheerful back then, she now acts cold when at home. In contrast, she normally smiles and is popular at school but Shinichirou knows that she is still hiding something inside her heart. She often helps out with Shinichirou's father's work as they are low on man power. She is on her school's girl's basketball team.